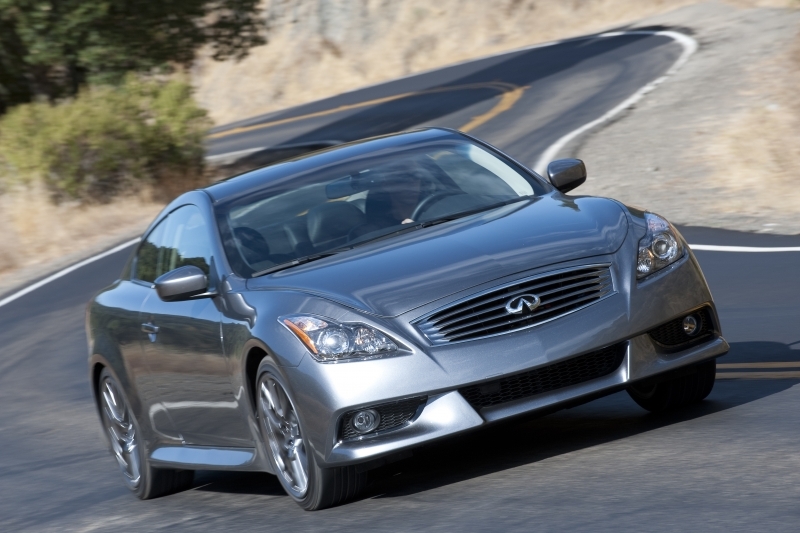 On its own merits, the 2012 Infiniti IPL G Coupe is an intriguing alternative to refined Europeans like the BMW 335i coupe and Mercedes-Benz C350 coupe. What the 348-horsepower IPL gives up in manners, it makes up for with brute force and reliability—or so Nissan/Infiniti advocates would argue. Sure, the $49,350 for a Japanese muscle car with 370Z DNA is pretty steep, but Infiniti loads up the IPL with equipment right out of the box unlike other manufacturers. But then there’s the small matter of the Infiniti G37 Coupe Sport, a 330-horsepower Japanese muscle car with 370Z DNA and…wait a minute. It’s the same car! Okay, not quite. For one thing, the IPL has a bunch of aesthetic “enhancements,â€ and for another, its suspension is stiffer than the already aggressive G37 Sport’s. And—well, that’s about it, unless you want to count the IPL’s claimed 18-horsepower (and six lb-ft) steroid injection. And if we’re honest, the G37 Coupe Sport 6MT is already rather dear at its $43,800 MSRP. An extra $5,550 for what amounts to a body kit and some suspension tweaks strikes us as something of a raw deal. But if value’s not a major factor for you, and you’re looking for a luxury performance coupe with a distinctly Japanese identity, the IPL G Coupe is probably the next-best thing to a GT-R. The IPL G’s steering is one of the sharpest systems on the market, and we love the sporty size and shape of the steering wheel. Body roll is exceptionally well-controlled. The brawny 3.7-liter V-6 has the broad power delivery of a V-8. Aside from the absurdly angled dead pedal, the IPL’s driving position is just about perfect. The standard touchscreen interface does a great job of managing music folders on portable media. We’re befuddled by that lopsided dead pedal—a G hallmark—which invites your left foot to rest almost flat on the floor while your right foot’s upright on the throttle. The V-6 is one of the least-refined engines of its ilk. The ride’s notably stiffer than the already firm G37’s. The touchscreen is an uncomfortable reach for taller drivers, and there’s no handy console-mounted control knob. Easily the most noticeable performance-related upgrade in the IPL is the stiffer suspension, which reduces body roll and egged us on to some downright terrifying on-ramp velocities. But we encountered more bumps than on-ramps in our time with the IPL, and the resultant impact harshness was extreme for a luxury performance coupe. Indeed, the IPL rides more like a tuner car, which is fine except that Infiniti G gearheads (we actually consulted a few) might prefer to save money upfront and do the tuning themselves. So that’s the bad news. But don’t get us wrong, the IPL is still a riot. Although it employs the same-size tires as the manual-transmission G37 coupe, the aggressively suspended IPL is if anything more tail-happy in tight corners than the regular G, a drift king in its own right. Helping the cause is the standard viscous limited-slip differential, as well as the wonderfully responsive and precise steering, a shortlist nominee for “best in recent memory.â€ We did find ourselves wishing that the IPL were a bit smaller and more nimble. But it’s clear that the IPL was tuned for people who like to drive, and that’s an increasingly rare thing these days. 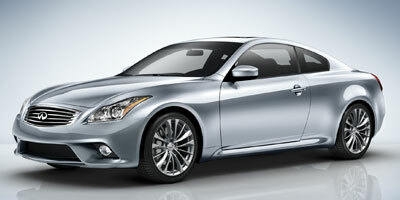 The 2012 Infiniti IPL G Coupe is motivated by a 3.7-liter V-6 rated at 348 horsepower and 276 pound-feet of torque. Aside from its marginally higher output ratings—not noticeable in real-world driving—this motor is essentially identical to the G37’s, which means its V-8-strength midrange torque serves as a pleasant prelude to the gritty, cacophonous rush to redline. After a few exploratory redline runs, we found ourselves shifting by 6,000 rpm. There’s just no joy in winding the big 3.7 out to its 7,400 rpm limit. Being the “6MTâ€ model, our test car had the six-speed manual transmission. A seven-speed automatic with rev-matched downshifts is available for a fee, and we’d strongly consider paying it, as the G’s clutch is one of the most recalcitrant we’ve ever encountered. There’s so much spring-loaded pushback as you let it out that it’s almost as if the engineers want you to stall. The EPA rates the IPL G Coupe 6MT at 17 miles per gallon in the city, 25 mpg on the highway, and 19 mpg combined. That’s respectable for a 348-horsepower performance car, though we should mention that the 430-horsepower Chevrolet Corvette, which starts at about the same price, checks in at 16 mpg city and 26 mpg highway with its 6.2-liter V-8. The IPL G comes standard with practically every available option, but the G family is getting on in years, so there’s not the smorgasbord of techno-gadgetry here that you’ll find in the latest luxury cars. Still, there are plenty of niceties onboard, including automatic bi-xenon headlamps, rear parking sensors, dual-zone automatic climate control, and a power-adjustable steering wheel. As with most premium Nissan/Infiniti products, the IPL G’s technological centerpiece is the hard-drive-based touchscreen infotainment system, which provides navigation, a Zagat Survey restaurant guide, a backup camera, Bose audio, and Bluetooth and iPod/USB integration. That all sounds great, and we’ll certainly vouch for the system’s skilled handling of music folders on a flash drive or mp3 player. However, the touchscreen is small and graphically simplistic by today’s rapidly evolving standards. An BMW iDrive-like control knob on the center console would work wonders here. Much virtual ink has been spilled over whether the G’s interior is up to the quality standard established by the benchmark BMW 3 Series. Our take? It’s not quite there, but it’s still a pretty pleasant place to spend time. We do take issue with the driver seat’s bottom cushion, which doesn’t provide enough lateral room, even with the adjustable hip bolsters on their most relaxed setting. And then there’s that annoying dead pedal. But the driving position is otherwise top-notch, thanks to the sublimely shaped steering wheel, crisp gauges, and excellent forward sightlines. As for the cabin materials, they may not be up to the prevailing German spec, but they’re not tacky, either, and the bright aluminum trim is a welcome touch. The current second-generation G coupe is a curvy departure from the first-generation model’s razor-sharp lines. Perhaps the IPL G Coupe’s body kit was intended to regain the old car’s masculine glory, as it adds an angular front fascia, flared-out rocker panels, huge exhaust tips (though the actual exhaust piping is unchanged), and a prominent rear spoiler. The effect is grown-up boy-racerish to our eyes, and that seems to be the IPL G’s target demographic. 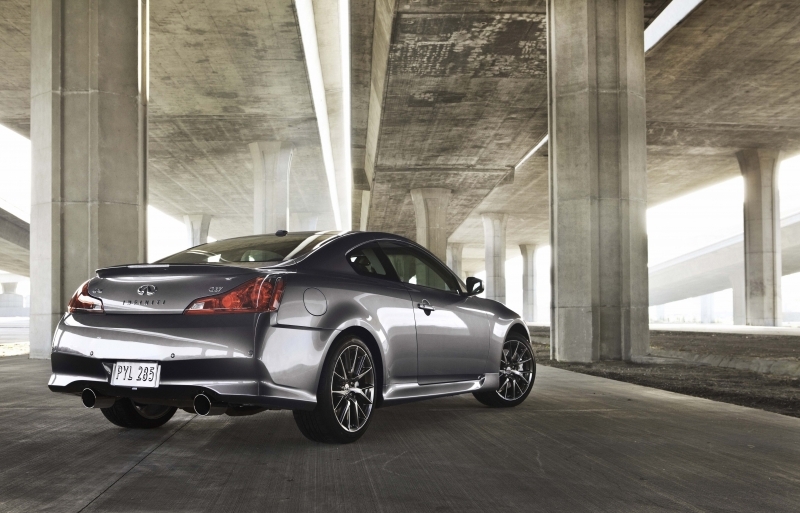 At its suggested retail price of $49,350, the IPL G Coupe 6MT is up against some world-class competition. The BMW 335i coupe is about $5,000 cheaper, while the Mercedes-Benz C350 coupe surprisingly undercuts the 335i by a grand or two. An even more affordable alternative is the BMW 135i, which outperforms the IPL G but has some styling issues of its own. The manual-transmission Corvette starts at $49,525 for 2012, and the delectable Audi S5 V8 can be had for a few thousand more. Consider also the Audi S4 sedan with its supercharged V-6 and $47,000-plus sticker. We’ve always liked the fresh attitude the Infiniti G brings to the traditionally German-dominated luxury performance coupe segment. It’s brash, capable, and unapologetically rough around the edges. As for the IPL G Coupe, well, we don’t really see the point, but we had fun driving it anyway.